Our Micro Social # 6 is on February 8 – Friday – at 6 pm! 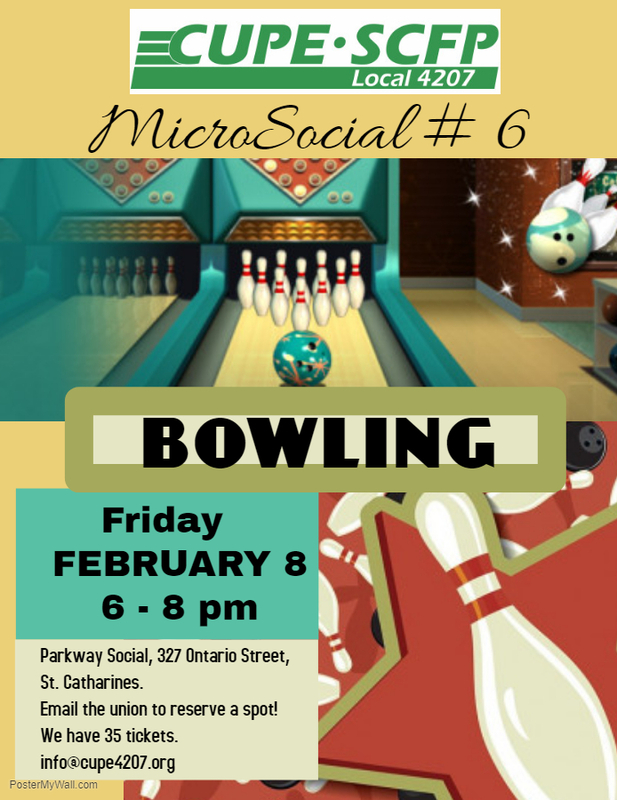 We are super excited to have a micro social at the bowling alley at Parkway Social on 327 Ontario Street in St. Catharines. Interested members should email the union to claim their tickets. Because it is a MicroSocial the bowling includes cost of the lanes (six lanes) and rental of bowling shoes. Food and drink is excluded from the purchased package. Email info@cupe4207.org to reserve a spot!